Chief Justice of Pakistan (CJP) Mian Saqib Nisar on Thursday said that the Supreme Court's directives barring the deduction of taxes imposed on the top-up of prepaid cards has not expired and that it will continue to hold until the court delivers a second order in the case, DawnNewsTV reported. 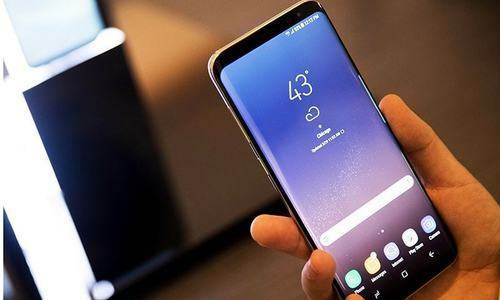 On June 11, the apex court had restrained the Federal Board of Revenue (FBR) and cellphone service providers from deducting withholding tax and other charges on mobile phone top-up cards till further orders. Days later, FBR officials, in accordance with the court's orders, had said that they will not charge any tax or charges on mobile phone top-up cards for a period of 15 days. With that 15-day period having expired, the SC weighed in today during a hearing on a separate case regarding the soaring prices of petroleum products. "It was said that the decision to suspend tax deduction on mobile balance was for a limited time period and that the practice would resume following the expiry of two weeks," remarked the chief justice in the presence of the attorney general and several other members of the federation. "The taxes on mobile balance cannot be deducted until the court's next orders," Justice Nisar declared. "The decision to suspend tax collection on mobile cards will hold until then." The FBR, via an illustration, had earlier explained to the SC that every time a consumer loads a Rs100 mobile card, 12.5pc of the total amount gets deducted as adjustable withholding tax, while 10pc of the whole goes to the telecom company as service charges. 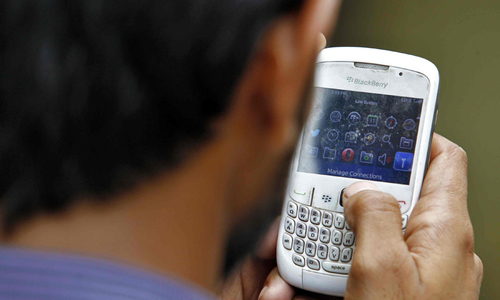 With the telecom company taking its cut, the 19.5pc sales tax also kicks in. However, it is applied only to the telecom company's 10pc rather than the entire Rs100 card. At this point, the consumer is left with Rs76.94 — of which the government charges 19.5pc sales tax (Rs 15) to the consumer for making calls and sending SMS. In the end, as per the FBR calculation, the net amount left with the consumer for his actual consumption on a Rs100 charge is Rs61.93. A sweet way to do corruption by mobile companies and current government who make them obliged to do so. Government will have to borrow another 130 Billion Rupees ( around 1 billion US dollars ) annually to compensate for this decision. In my view judges should not interfere in economic decisions. I am just afraid that some day our CJP can give a decision to remove taxes altogether and the next day our economy will collapse altogether. Too much power to one person is too dangerous. For years we were being ripped off ..... well done CJ . Wait... I was deducted the taxes a few days ago. So, the taxes won't be deducted from now on? Good! Hope continued such orders to sanitize the entire system. CJP, we request you to please suspend all taxes on petroleum products also. The people of Pakistan are happily appreciating zero tax on Mobile top ups, however the Govt on the other hand have increased the prices of petrol to Rs 99.50/ per litre along with massive inflation. Pity the poor people of Pakistan as we have been fooled like this for more then 70 years now. Well done chief justice sahib. We are proud of you. Don't want to give direct or indirect taxes but want to enjoy all the previliges for free. By stopping tax collection, SC CJ has harmed poor / lower middle class people as they don't use cellphones. This has resulted in govt raising more tax on gas to compensate for loss of revenue from cell phone. The order didn't prove to be useful at all. I used to sunscribe a monthly package for PKR 800. before this order, the required balance was PKR 575 ( post tax deductions). However, after the SC order when i went to subscribe the same package hoping that I will pay 575 only, to my utmost surprise the price of package had been raised by the mobile company and it was PKR 800. So it means the tax on mobile company is now going to the company instead of exchequer previously. Are we better off paying to mobile company?